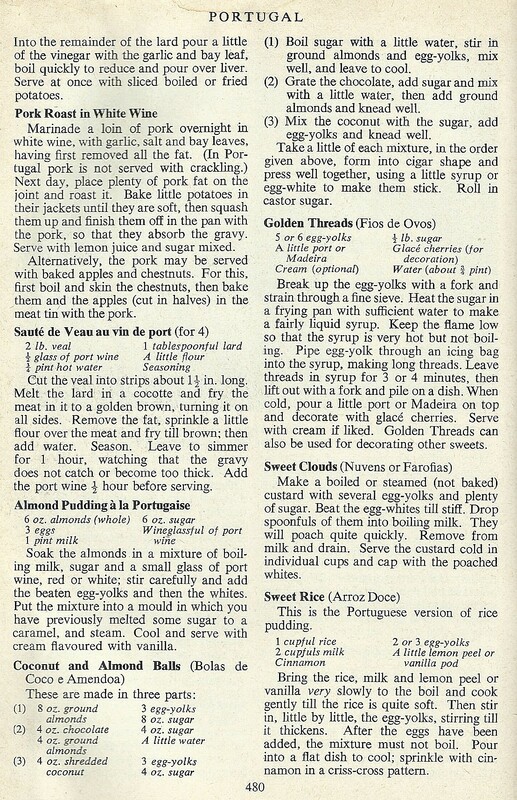 Continuing our travels with Granny Robertson’s Cookbook we now come to Portugal. 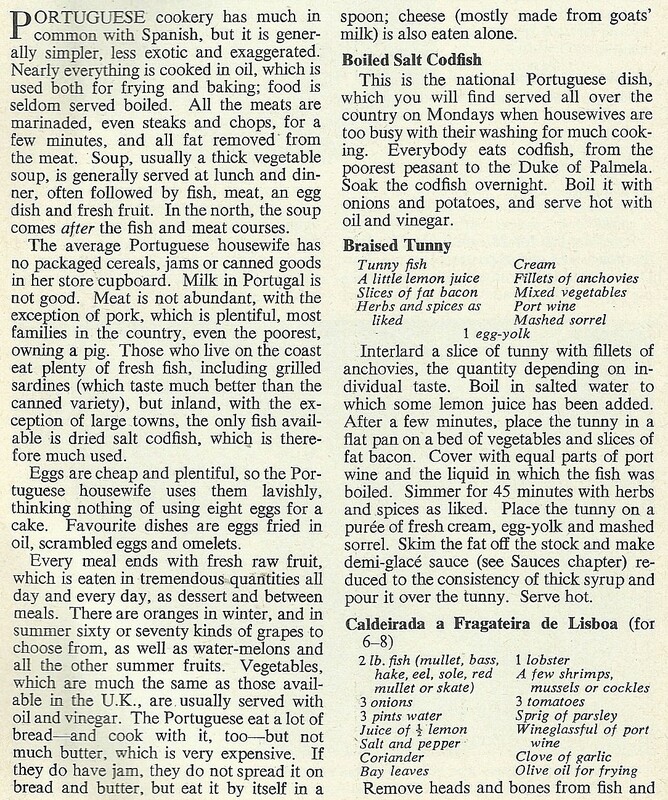 In common with many European countries Portugal has a long seafaring history, reflected in the national cuisine by a the number of recipes for fish and shellfish. Sharing the Iberian Peninsular with Spain much of the two cultures, and cuisines have become intermingled over the centuries. 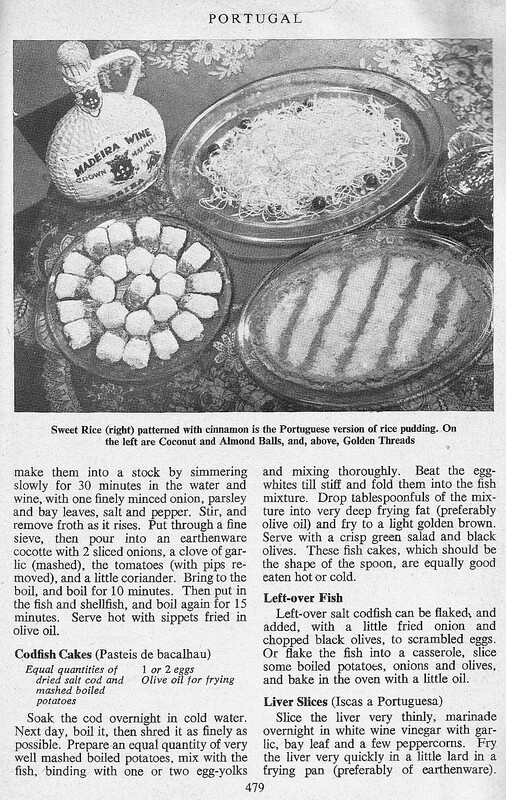 The recipes here certainly represent those historical linguistic and cultural links. This entry was posted in European Cuisine, Fish & Shellfish and tagged Iberia, Madeira, Spain. Bookmark the permalink.